NW Corner 4th & D, Old church "congregational". Description Later site for the Public Library. 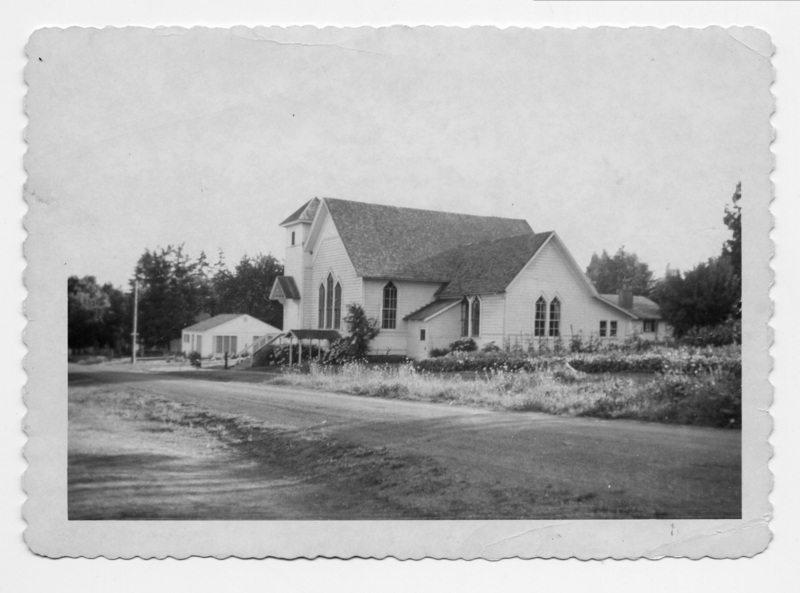 Scanned as b & w.
Transcription NW Corner 4th & D, Old church "congregational".